I've had some great discussions since Tuesday's post on Mono Sodium Glutamate (MSG). I was surprised to find out how many people thought that MSG was just a Chinese food/restaurant phenomenon and had no idea it could be lurking in their processed foods. I thought today I would give you all a quick list of some other common food additives to watch out for and why. Once again, do what you can to move from eating a processed food diet to eating a whole foods diet that you prepare yourself. It's a little more work, but in the long run you and your family will be so much better for it! Sugar substitutes have long been blamed for things from headaches all the way to cancer. Some of the big ones are Aspartame (NutraSweet and Equal), saccharine (Sweet’n Low), and sucralose (Splenda). High-fructose corn syrup: Animal studies have linked it to diabetes and high cholesterol and experts blame if for contributing to the rise in childhood obesity. Trans-fats: Also known as partially hydrogenated oils – they are artificial fats that make oil more solid and thereby increase a product’s shelf life. They directly contribute to heart disease and high cholesterol levels. Avoid hydrogenated or partially hydrogenated canola, soybean, or cottonseed oil. 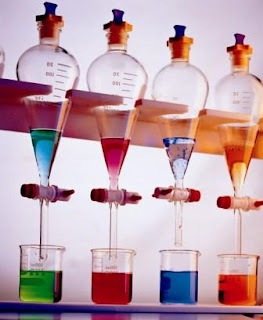 Food Coloring: Big ones to avoid are FD&C blues #1 and 2; green #3; and yellows #5 and 6. They are all made of toxic chemicals though and have been linked to such things as ADHD, multiple types of cancer, male sterility, and many other issues. Sodium Nitrites: these are used to preserve cured and processed meats like bacon, sausage, and ham and keep them looking red and juicy. These compounds have been linked to various types of cancer and high blood pressure. MSG: monosodium glutamate is a flavor enhancer found in many foods. It’s taste is so potent that it allows companies to use fewer real food ingredients. It can cause reactions from headache and shortness of breath to changes in heart rate. It’s flavor is also addicting which causes many to overeat. Look for msg, mono sodium glutamate, or hydrolyzed protein on labels. Avoid genetically modified or engineered food (GMO or GE): this is a way for farmers to create pest-resistant crops by breeding a pesticide right into a grain. No long term testing has been done on these foods and research is showing a link with GMO foods transmitting food allergens. Very educational post. That list is a great start! GM foods have also recently been linked to infertility. If you want to avoid those things, you have to start cutting processed foods out of your diet. These days almost all corn and soy used commercially are genetically modified, and you will find them in almost all processed foods. One food item can have as many as 8 corn-based ingredients! These days I read the labels of everything I buy. If I make mayonnaise at home I use a handful of ingredients. The other day I counted 27 ingredients on a jar of commercial mayonnaise, most of which I can't even pronounce! Okay, the bit about the GMO's has really got me concerned. I work really hard at improving my eating habits. I've heard the term but I never really did the research, I just thought scientist were building a stronger plant but not by breeding a pesticide into the grain. How in the heck are they pulling that off?